We have put together a list of 10 things to do in Iceland. It can be hard to choose what to do when you go on a vacation in a new country, so we’ve made it easy for you. Take advantage of the Duty-free shop! 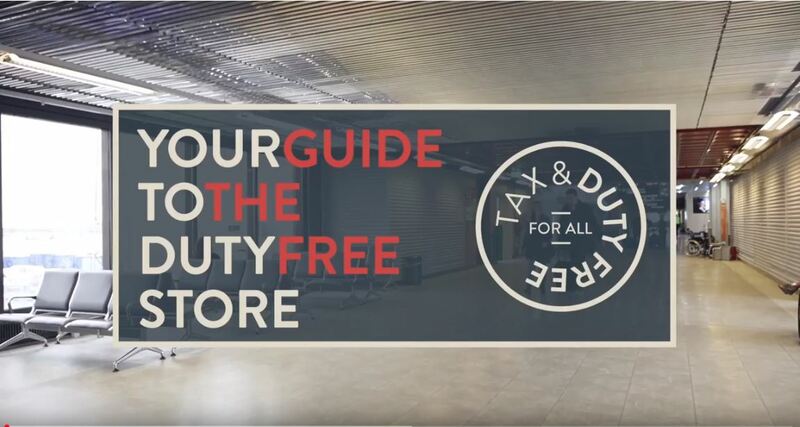 The first thing you should do when you arrive in Iceland is to take advantage of the Duty-free shop – it is both duty- and tax-free! Alcohol is much cheaper there than in any other place in Iceland. Go to The Blue Lagoon! For many people, the Blue Lagoon is on the top of their list of things to do in Iceland. Sure, it is a bit expensive. However, you get what you paid for. You can choose between three types of admission tickets, which include different extras. See the most famous sights of Iceland in one day! You can either drive it by yourself or join one of the many day tour companies. Do your research because some companies stop additionally at other places than just Þingvellir National Park, Gullfoss waterfall, and Geysir geothermal area. Check out the Sun Voyage during sunset… or sunrise! One of Reykjavík’s most famous landmarks is a must see and only a stone’s throw from the city center. We recommend going there during either sunset or sunrise, but it is always beautiful. Take a walking tour around downtown Reykjavík! You can choose between a few different walking tours around Reykjavík – and the best thing, most of them are free! The guides will tell you the history and development of Reykjavík as a city in a fun and exciting way. Drive the south coast of Iceland! 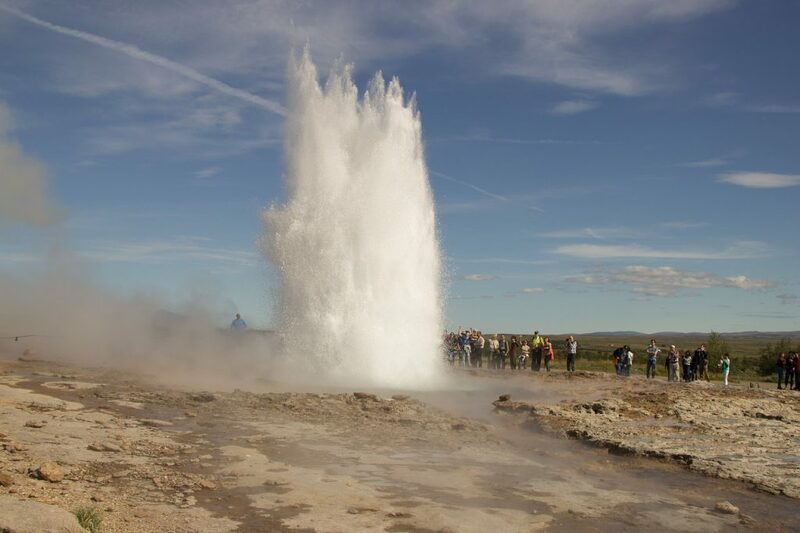 Just like the Golden Circle, you can either do this on your own or join a day tour company. 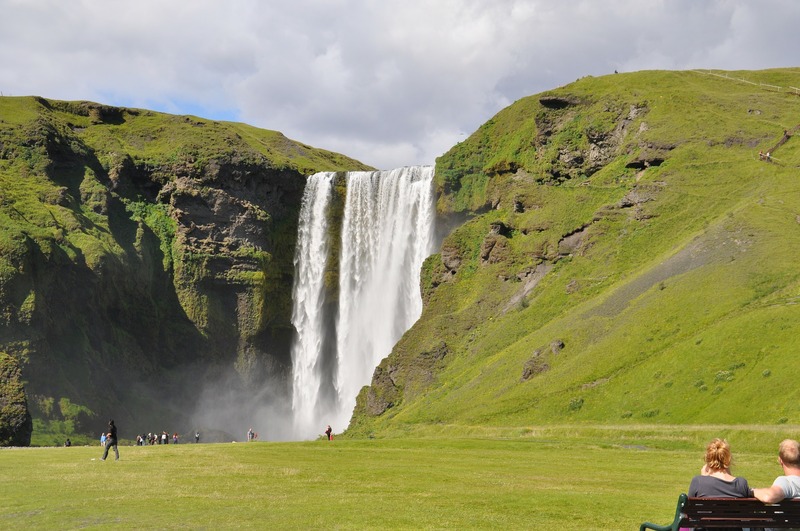 You can comfortably go as far as Vík in Mýrdalur in one day and see all the most important sights, such as Seljalandsfoss and Skógafoss waterfalls, Reynisfjara black sand beach, the nearby Dyrhólaey and Eyjafjallajökull glacier. Check out the West Fjords! The West Fjords are underestimated. The biggest hurdle is that you need to drive it by yourself and it can be impossible to reach certain areas during the winter months, but to see Dynjandi waterfall and Látrabjarg, the biggest bird cliff in Europe is worth the trip. See the most powerful waterfall in Europe! Dettifoss in North Iceland is considered the most powerful waterfall in Europe. It is a glacial waterfall and is fed with meltwater from Vatnajökull glacier, the biggest glacier in Europe. Go snowmobiling on a glacier! It is not every day you can go on a snowmobiling tour on Europe’s second largest glacier! However, you can do that in Iceland! Try fermented shark and Brennivín! No trip to Iceland is completed without tasting the local “delicacy” fermented shark and Iceland’s signature beverage Brennivín. Gifts, Icelandic Products3 Excellent Icelandic skin product companies you must check out!